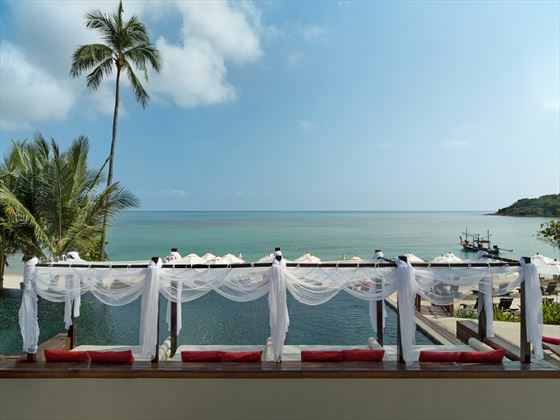 If you're looking for a peaceful approach to one of Koh Samui's most popular areas then the Anantara Lawana Koh Samui Resort definitely ticks all the right boxes. 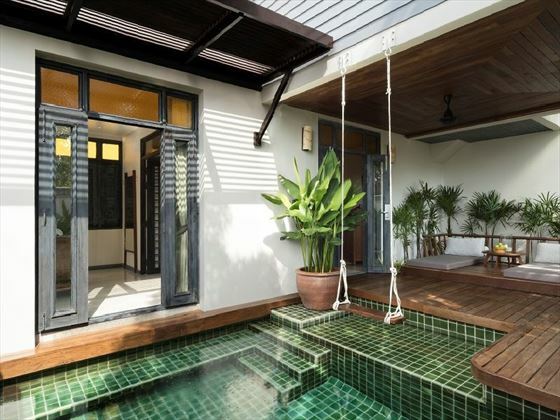 Close enough to the nocturnal scene and bustling markets of Chaweng, but not too close to be intrusive, you'll discover a secluded sanctuary from where to enjoy the laid back life in your own time with a whole host of cultural and active things to do in resort. 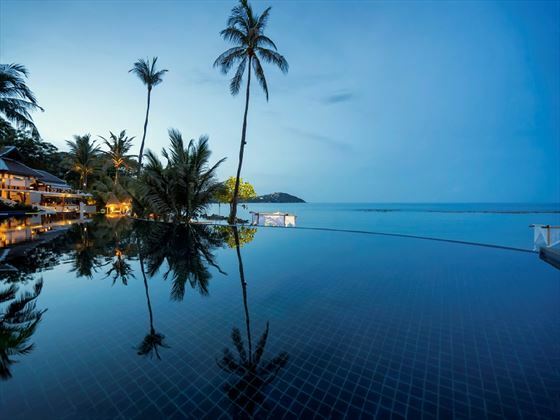 Infinity edge swimming pools, fabulous cooking classes and pampering pleasures at the spa all add to a really worthwhile destination and if want to discover the very best of Koh Samui then make sure you put Anantara Lawana at the top of your wish list. 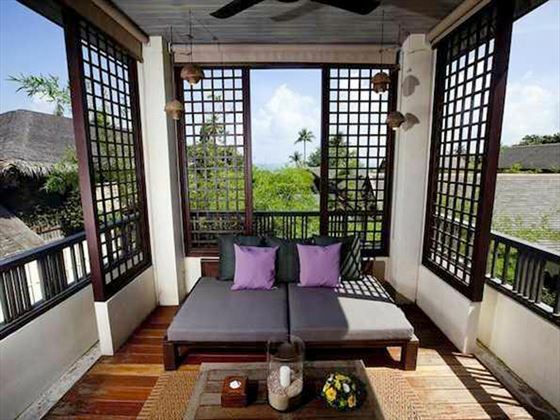 Situated on a quieter section of Chaweng Beach along the east coast of Koh Samui within walking distance of the local restaurants, bars and entertainment districts. 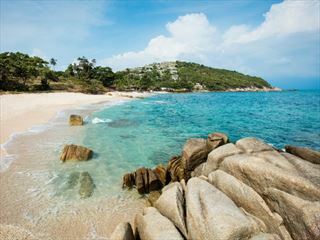 Golf courses, the Big Buddha Temple and Fisherman's Village are all around 15 minutes away by car. 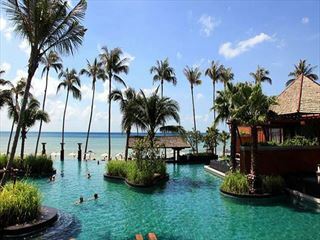 Koh Samui International Airport is approximately ten minutes out of resort. 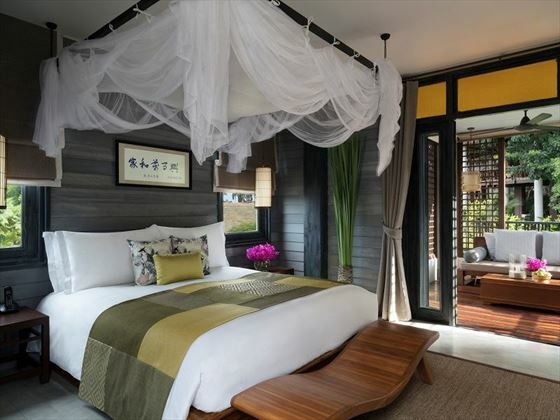 Deluxe Lawana Rooms – featuring contemporary tropical décor as well as garden views from the balcony and outdoor seating area. Deluxe Plunge Pool Rooms – larger than Deluxe Rooms with same style alongside an outdoor plunge pool, semi open air bathroom and spacious alfresco dining area. Deluxe Pool Access Rooms – larger than Deluxe Plunge Pool Rooms with exclusive access to a shared swimming pool as well as private sala and garden dining area. 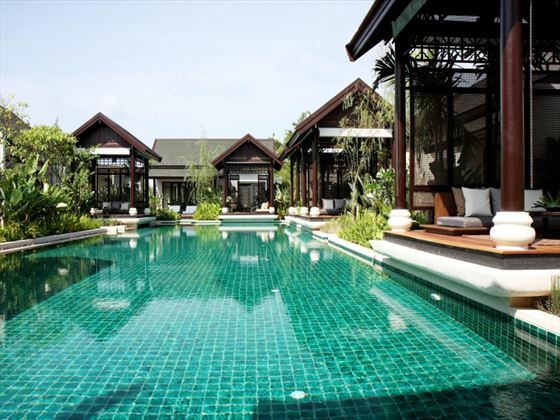 Anantara Pool Villa – larger than Deluxe Pool Access Rooms with private pool, partially detached living room, outdoor sundeck and open air bathroom. 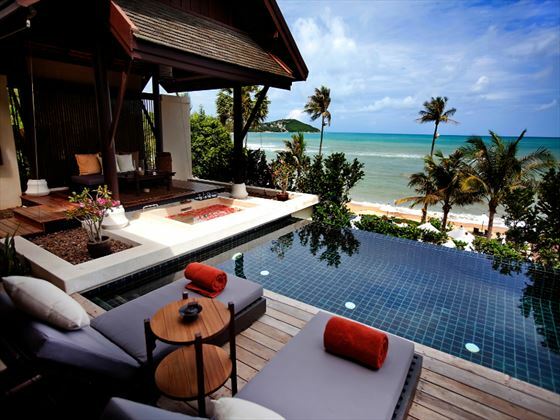 Anantara Seaview Pool Villa – same size as Anantara Pool Villas with same features alongside amazing ocean views. 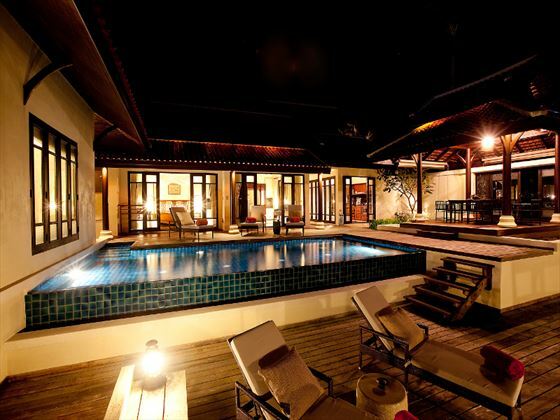 Two Bedroom Lawana Pool Villa – largest property in resort featuring two en-suite bedrooms, private pool, 180 degree ocean views, living room, outdoor dining facilities and spacious relaxation areas. 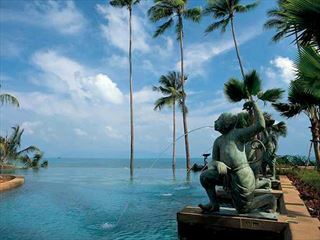 Ocean Kiss – all-day a la carte Thai and international dishes as well as breakfast buffet served overlooking the beach. Pool Bar – cocktails, snacks and lighter dishes served from 10.30am until 11.30pm. 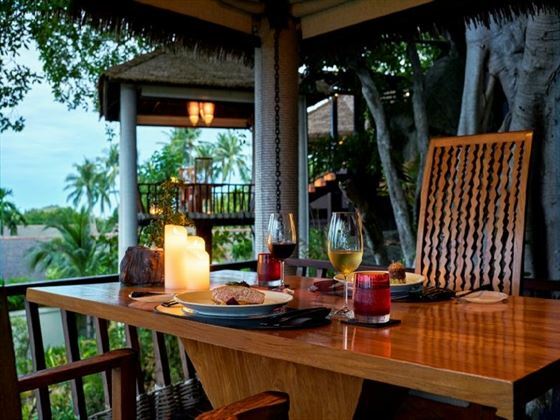 In-villa Dining – take your time to relax and enjoy a fine dining menu from the sanctity of your luxury guest villa. Dining by Design – feel the sand between your toes as you experience the most romantic of all candle-lit meals for two, right on the beach under a blanket of stars. Anantara Spa – a good choice of couples and singles treatment suites from where to relax and unwind with traditional and signature massages, scrubs and well being therapies. Infinity edge swimming pool and Jacuzzi. Fully equipped fitness centre with treadmills, free weights, cardio equipment and static bikes. Spice Spoons – unlock the secrets of Thai cookery and visit the local markets in search of ingredients. Non-motorised watersports: snorkelling, kayaking, diving, fishing, paddle boarding and windsurfing. Valid copy of Marriage Certificate required on booking and check-in.